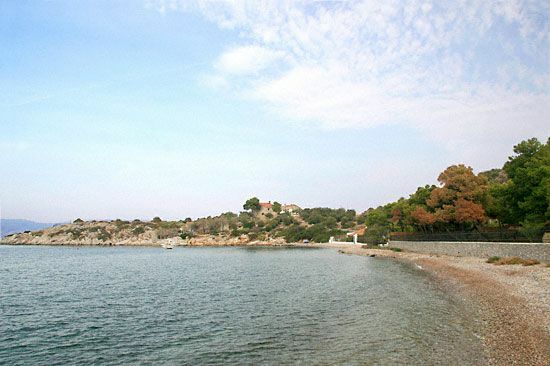 Molos is a nice peebly beach located in a protected rocky cove, full of pine trees. 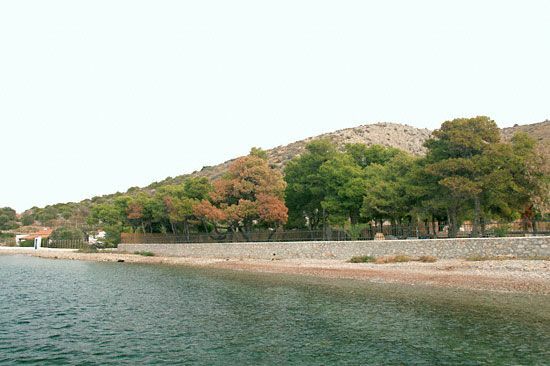 Molos, which means “jetty” in Greek, is a deserted area offering peace and relaxation. 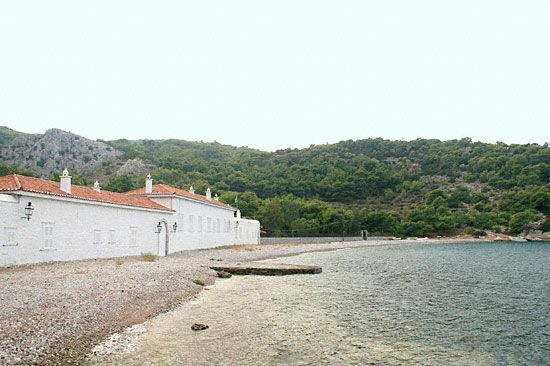 The back of the beach is bound by the fence of a large private property which has a building that resembles to a monastery. Access to Molos on foot, is not very easy. 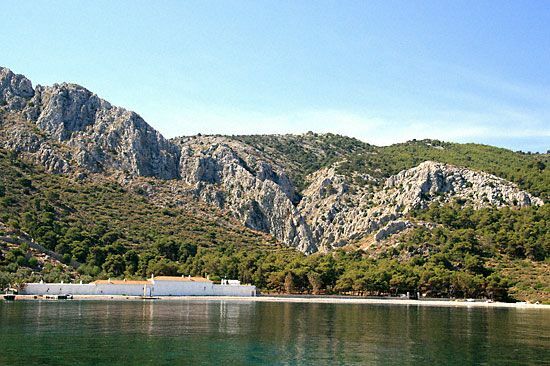 Starting from Hydra's Town, you will have to follow the coastal road to Vlychos and continue towards Molos. At some point the path peters out and you will have to pass through a rough track in the pine forest. 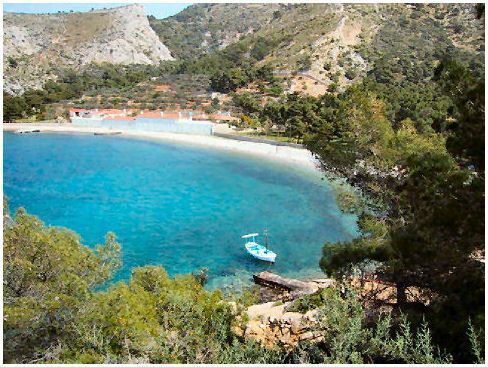 Another footpath starts from Molos and leads to Episkopi . The large caiques can't draw in to the beach, because the waters are shallow. 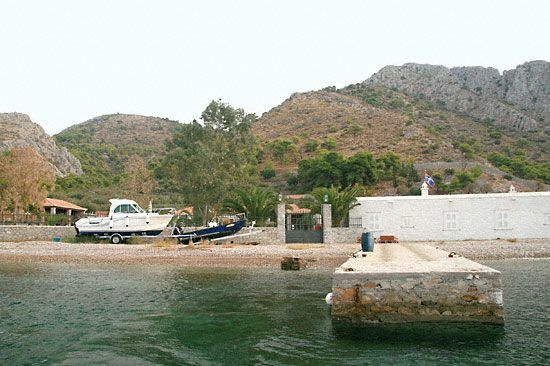 Thefore the place can be easily reached only by private boats or water taxis.